According to Michelle Obama’s Let’s Move initiative to get kids eating healthier, kids eat “nearly half of their daily calories at school.” For many kids, especially in the city, that means processed cafeteria food is sometimes the only regular meal they eat. 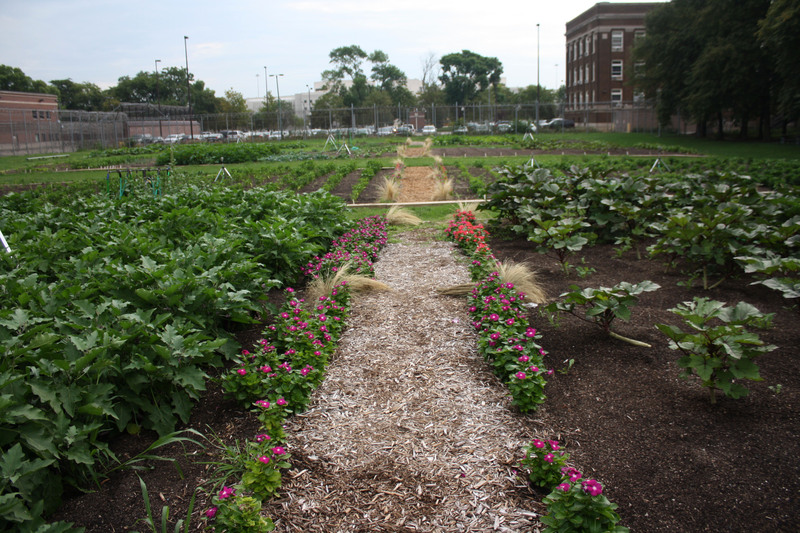 But urban farms like the Farmessori at Chicago’s Near North Montessori School are about to change that forever. This city school’s brand new farm is their latest addition to their mission to teach kids about agriculture, nutrition, and living in harmony with the earth in a hands-on way. Hooked yet? I certainly am, but I’m biased – I attended the school for 11 whole years. 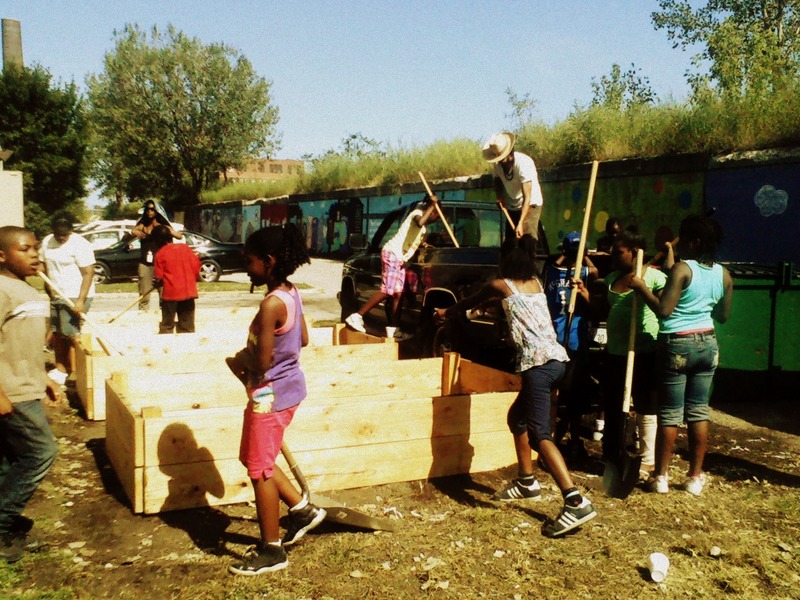 The Farmessori isn’t NNM’s first effort to bring farming to the students’ lives. As a junior high student at the school, I used to volunteer at City Farm just down the street every Wednesday as part of our science curriculum. That was the first time I had heard about composting and the like, but I don’t think I really grasped the benefits of growing your own food til now, five years after graduating. This new Farmessori is taking food education at NNM to a whole new level. 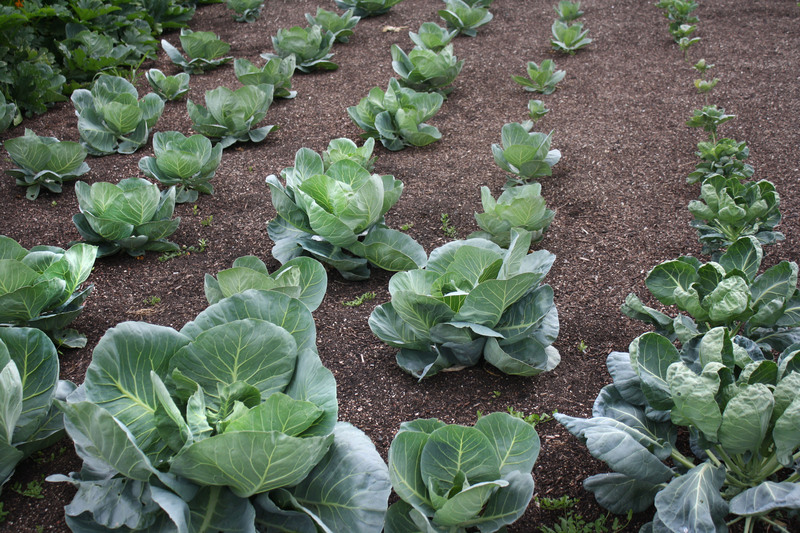 By working on the farm as part of their justice and sustainability curriculum, the students will be able to take part in the entire cycle of growing – everything from preparing the soil, to planting the seeds, to tending the garden, to harvesting, cooking, and eventually eating the produce. Part of the harvest goes into the school’s Sandwich Shop program, which has been around ever since I can remember. The junior high students run a business of cooking, preparing, and selling the meals for students and staff to raise money for their annual trip to Washington D.C., the very place where Michelle Obama conjures up ways to get kids involved in healthy eating. If that isn’t full circle, then I don’t know what is. Cheers to kid-grown goodies and farm fresh fun! Imagine you’re a bird soaring above a city, and instead of looking down and seeing a quilt of concrete rooftops, wavy from a heat mirage, all you see is green. Like a St. Patrick’s day-themed checkerboard, these little green squares would be the food and energy source of the future. This is the vision of Alex Poltorak and his hydroponic Urban Canopy Rooftop Farm, located in Chicago’s Back of the Yards neighborhood. Alex hopes his literal urban jungle will be an inspiration for urban farmers citywide – all it takes is a little creativity, some determination, and maybe a few feet of piping to harness the goods that Mother Nature provides. 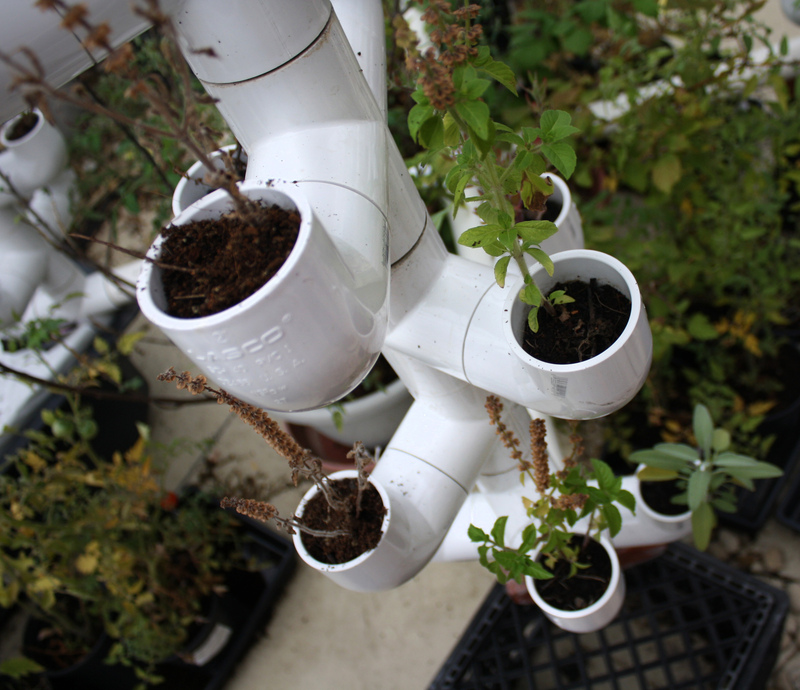 Water stored in a central rain barrel circulates through the many arms of this hydroponic system at the flick of a switch. 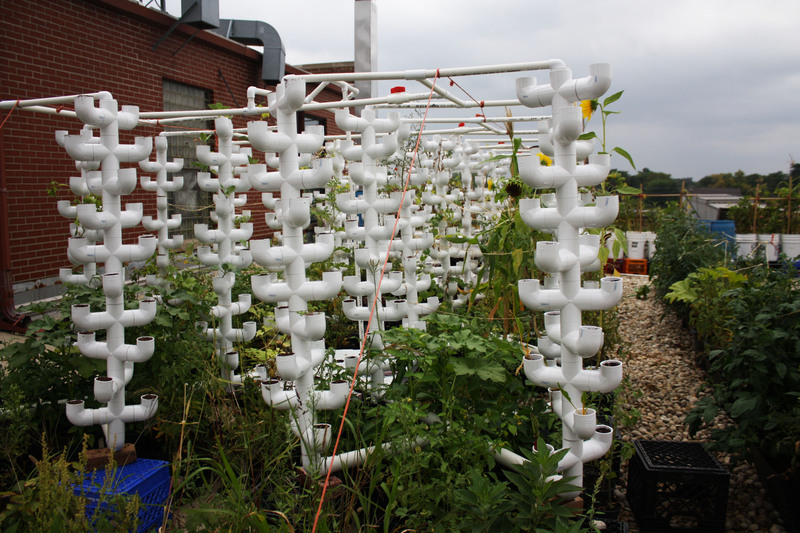 Bike-a-Bee, and most importantly, built an entire closed hydroponic system. For hydroponic newbies like myself, the structure looked like an elaborate tangle of white robotic arms from outer space, except it’s got plants bursting out of it in all directions. Not something I could’ve built in just one season without prior experience, like Alex did! But Alex insists he’s no expert – all the ideas he’s utilized have been a result of experimentation and trial and error. I think his success stems from his open-mindedness – one of the facets of Urban Canopy is that as a business they are constantly changing and flowing, just like the water in the hydroponic system. This attitude has led Alex to many breakthroughs in canopy farming. 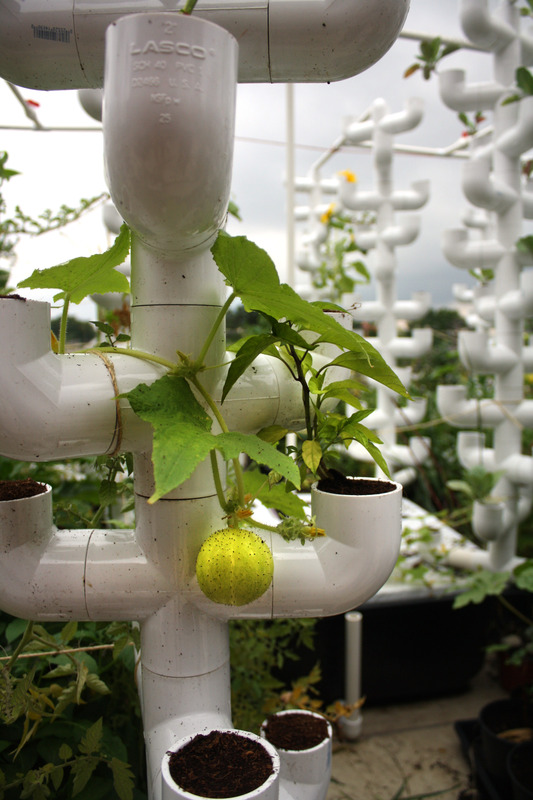 For example – who knew that lemon cucumbers (see left) and baby watermelons could grow like vines, intertwined and suspended on a rope? So what does this all mean for you? Well firstly, getting involved in rooftop farming is the way to go. 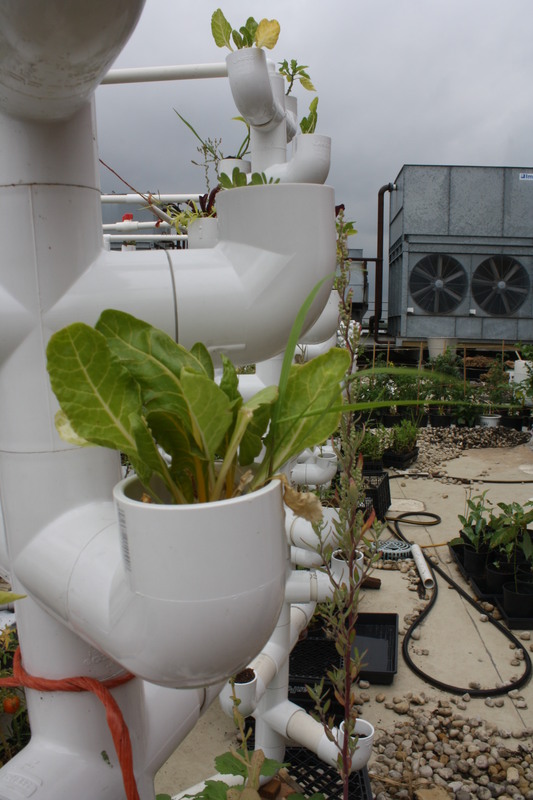 The EPA’s list of benefits of green roofs is extensive, but in my opinion they forgot one thing – the healthiness and tastiness of a fresh vegetable from just upstairs! And not to mention you’ll be using less energy than you would if you bought food that was transported hundreds of miles in refrigerated trucks. Instead, Alex turns on a pump that cycles a water and compost mixture he calls “compost tea,” using about $2 worth of electricity per month. If that isn’t green, then I don’t know what is. To make it greener, maybe we could all start our own rooftop patches, to make our cities green checkerboards in more ways than one. I think I’m one of the only people to say that as I entered the gates of Chicago’s Cook County jail, I was bubbling with excitement. I entered voluntarily, of course, because I was given permission to tour the jail’s organic urban garden, farmed entirely by inmates. Under the oversight of Sheriff Thomas Dart and coordinators Kerry Wright and Mike Taft, this garden has brought what Taft calls “a patch of serenity” amidst the chaos of a prison. It’s so serene you can hear the birds chirping; a rare gold finch perched atop the high barbed wire fence as I soaked it all in. Besides being a place for therapy and reflection for inmates, the garden provides job training, health education, and most importantly, a solution to our increasingly crowded and expensive jail system. Swiss chard, tangled like a barbed wire fence. started as two tiny plots and all the food went to soup kitchens in the area. When they first started selling to local restaurants three years ago, people doubted the quality of food produced by inmates. But a team from Charlie Trotter’s, one of their first clients, came to the garden to inspect the produce, and determined that it was as good if not better than other local farms. Then this Chicago Tribune video article reported within an hour of harvest, the veggies could be in a kitchen, still warm from the sun. Top restaurants like Publican and Blackbird soon caught on. The garden now sells at three markets (including the Daley Plaza), and is still able to donate 800 pounds of food a day to Chicago’s Greater Food Depository! So, here’s how they do it. 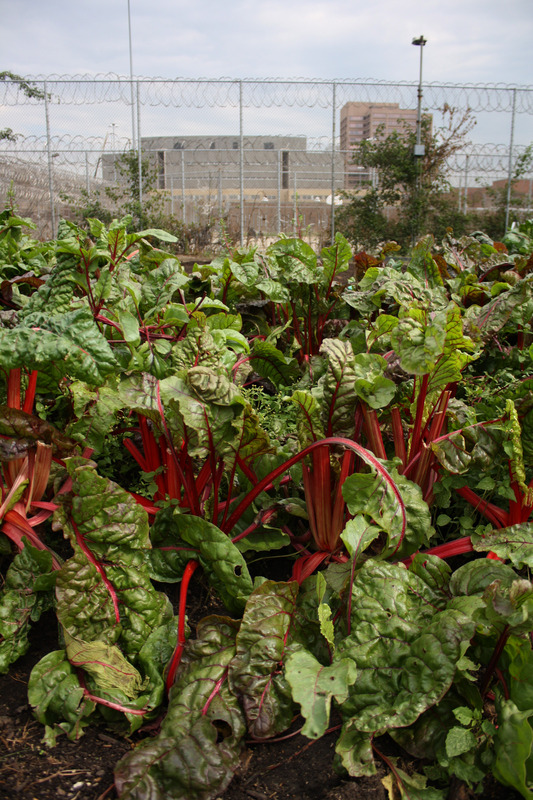 In a twelve-week horticulture education program geared towards inmates who are on their way out, both men and women receive a crash course in gardening and environment. They spend two or three days per week enthusiastically practicing their trade in the field, where they learn to grow (and taste) food they’ve often never even heard of – from beets to giant pumpkins, from lemon basil to endangered species cultivated in partnership with the Audobon society. Upon completion of the course, the inmates experience what it’s like to be an integral part of a start-to-finish cycle, from seed to fruit. Not only that, they exit with a certificate that helps them get a job and start a new life that’s as fresh as the veggies they pick. Oh brother, the broccoli’s growing out of hand. Luckily the workers know how to cut from the bottom. 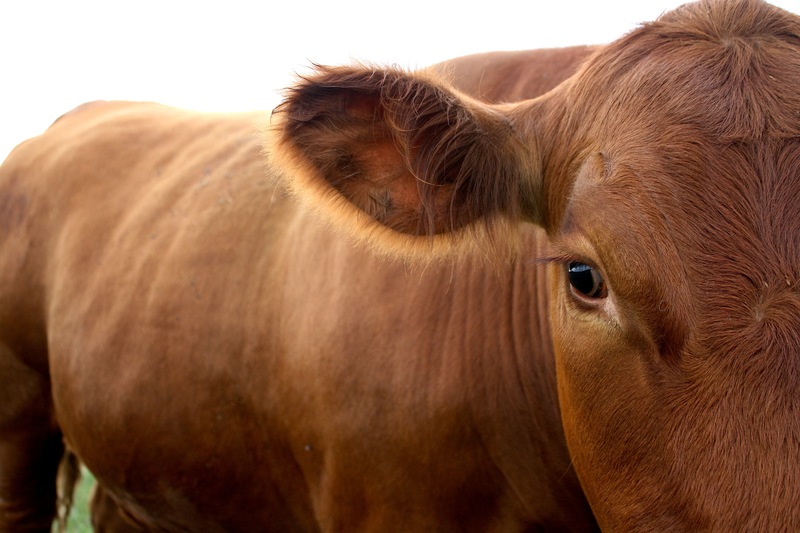 Dilemma #1: Your kids don’t know that food comes from a plant that grows. Dilemma #2: You can’t show them evidence of this, because you don’t have any green garden space around your city apartment. Consequence: They’re more likely to associate food with shiny packages than with soil, water, or mother nature. Now, I don’t think packaged food is the end of the world, but this detachment from the seasons and cycles of nature is pervading both urban and rural areas across the U.S. That’s where the Loud Grade Produce Squad (LGPS) comes in. 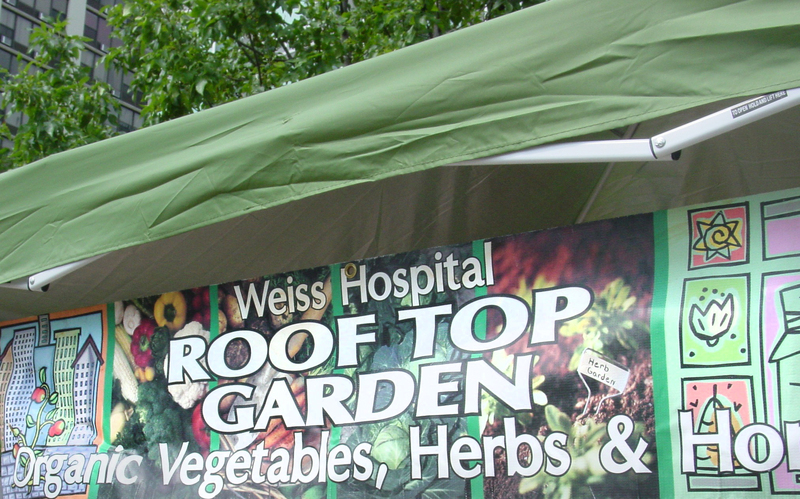 It’s a non-profit that runs the Weiss Hospital Rooftop Garden in Chicago’s Uptown neighborhood, helping kids and families (re)connect to growing food. 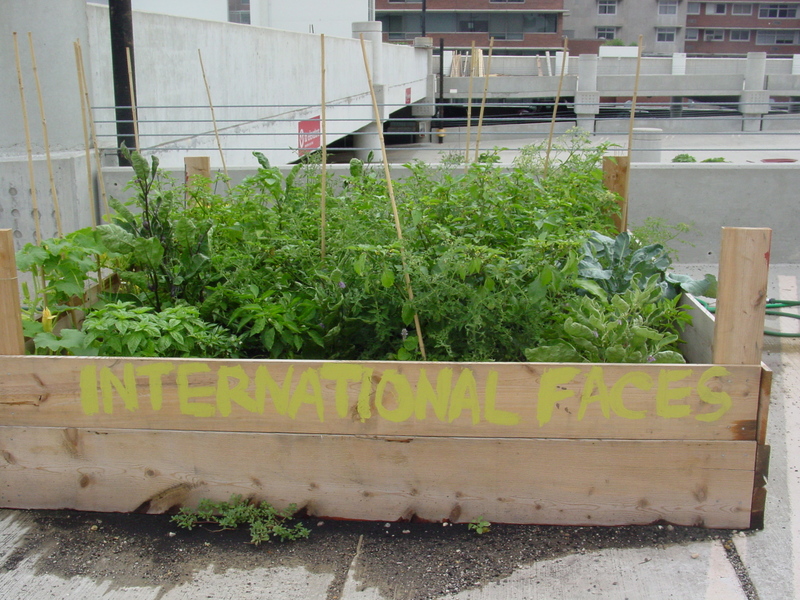 How is this organization going to use a community garden on the roof of a hospital parking lot to solve our detachment dilemma, you might ask? The plot planted, tended, and harvested by Heartland Alliance’s Refugee Health Program. LGPS provides space, equipment, planning, and labor for community members to sow the seeds of their own health and knowledge. 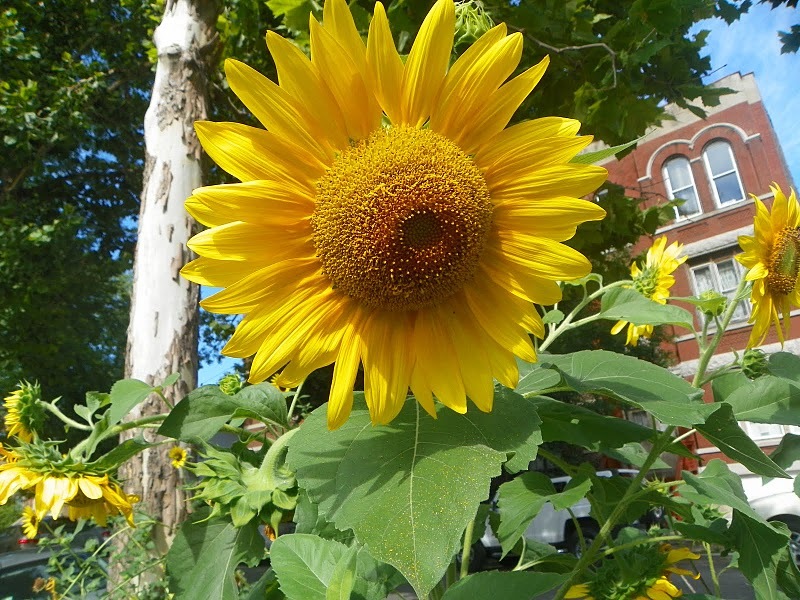 From neighborhood families to refugees from the Heartland Alliance, urban gardeners plant and harvest the organic produce to take home or sell at the Uptown Farmers Market kitty-corner from the site. Will Pool, co-founder and visionary of the organization, says the community response was enormous when he officially opened the plot to the public just 7 months ago. For the diverse Uptown neighborhood full of often garden-savvy international families, the rooftop garden filled a void and has since blossomed – no pun intended! that. That’s why the other half of the project is the local community production of WVO biodiesel – the vegetable-grease-based fuel alternative that’s 86% cleaner than petroleum diesel and 5-10 times cheaper. Will works tirelessly to bring both halves of LGPS to as many audiences as possible. At the Uptown Farmers Market, Will informs a customer that the minty taste in the rooftop honey comes from basil flower nectar. 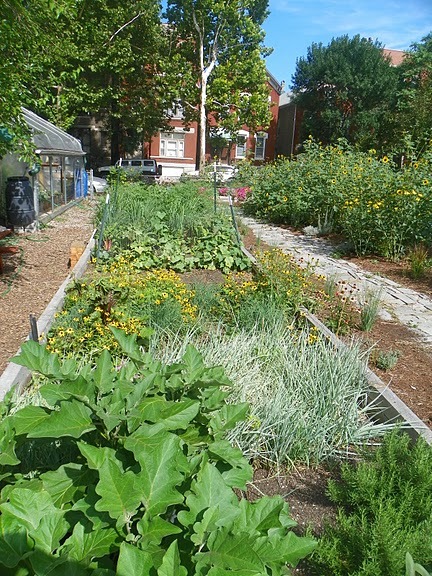 Throughout the city in Chicago public schools like Penn and Dvorak, LGPS teaches gardening basics and imparts the importance of eating close to the source. Not to mention, the connection with Weiss Hospital allows LGPS to promote a healthy and nutritious lifestyle to patients. They even made local ABC news last June. Perhaps LGPS’s template could take root in other places in need of nourishment, because what better way to keep people healthy than to give them natural nosh from right across the street? LGPS is tackling this health issue from all angles: conscientious eating is not only an alternative treatment for patients, it’s a way for families to prevent potential problems. It’s also a mighty tasty way to bring people together, elevate a community, and allow people to be more aware of the food they eat and how its grown. Now, kids are learning that more goes into making a frozen pizza than unwrapping the plastic shrink-wrap. Loud Grade Produce Squad is making some serious noise in the neighborhood, so listen closely! You just might hear the bees buzzing, chickens clucking, and people humming some locally-grown songs in tune with their locally-fed tummies. Some high schoolers are scouted by colleges to be athletes, others are recruited by national debate teams, but this organization travels to local high schools to look for none other than farmers. The Botanic Garden’s Green Youth Farm, located in Waukegan, Illinois, pays eighty students ages 14-18 to work on their organic farm during the summer season. It’s a 4-year-old program that combines youth leadership development, agricultural education, job training, and community service all under one umbrella – food! But farm coordinator Eliza says that “food is just a vehicle” for the social justice work carried out by the farm. By planting, nurturing, harvesting, and selling food, student farmers gain integral knowledge that puts them on the path to success. They learn everything from interplanting leaks and tomatillos, to beekeeping, to grilling at weekly cook-outs, to customer service skills at the Chicago Botanic Garden farmers market. In the spirit of learning leadership skills, my tour was led not by Eliza but by Angelica, a recent graduate of Waukegan High School and a “crew leader” at Green Youth Farm. It’s her second year working here, so she was promoted to the higher position after the initial application and interview process that all students must complete. Angelica showed off the farm with expertise, pointing out with pride the new tomato trellises she and her group had just built. Although like many of her co-workers this was her first job ever, she says she “liked working with the environment,” so she came back to the job. She likes it so much she even wants to incorporate what she’s learning here into her studies at Cornell University this fall. Angelica and her compatriots are already putting their skills to work in their homes and communities. The goal is to combine accessibility and knowledge to incite change. If mom doesn’t normally buy veggies, nor know how to cook them, then Angelica’s family will go without them. But since Angelica brings home the goods, she can get even her teenage brother interested in eating conscientiously. Apart from the home, students share their knowledge and produce at WIC clinics for nutrition of women, infants and children. Like the students, many WIC coupon-holders don’t have access to fresh produce from farmers markets. Thus, GYF’s vision of food accessibility is fulfilled through the solidarity of the community. With unemployment as low as ever for teens, the opportunity to work on GYF is a welcome one for many high schoolers. And it’s a win-win-win situation – and yes, I meant three wins. The students get access to fresh knowledge of food and nutrition, they get to share this knowledge with the community, and they are given the support they need to succeed – however you define success. According to Eliza, “there’s no static definition. Eating more veggies, that’s success. Winning a speech competition at Colgate University by talking about the current food industry, that’s success. Graduating from high school, it’s all success.” Eliza was describing the bounty of ways that graduates of GYF utilize the support they get. This type of summer job is taking root across U.S. high schools, from Natick Community Farm‘s Leaders in Training Program on the east coast, to this teen starting her own CSA farm on the west. And just as the plants in the garden bloom, with a little nurturing these teens will surely blossom into healthy, conscientious adults. One of my earliest memories of a food is of a sour cherry. As kids, my sisters and I would climb to the roof of our treehouse to pick the very highest ones off our backyard cherry tree. Then we’d sit on the patio removing the pits (and the occasional worm) with paperclips, until we had buckets and buckets of pie-ready cherries. We knew those pies would be darn good and fresh, because we had picked the cherries from our very own tree. 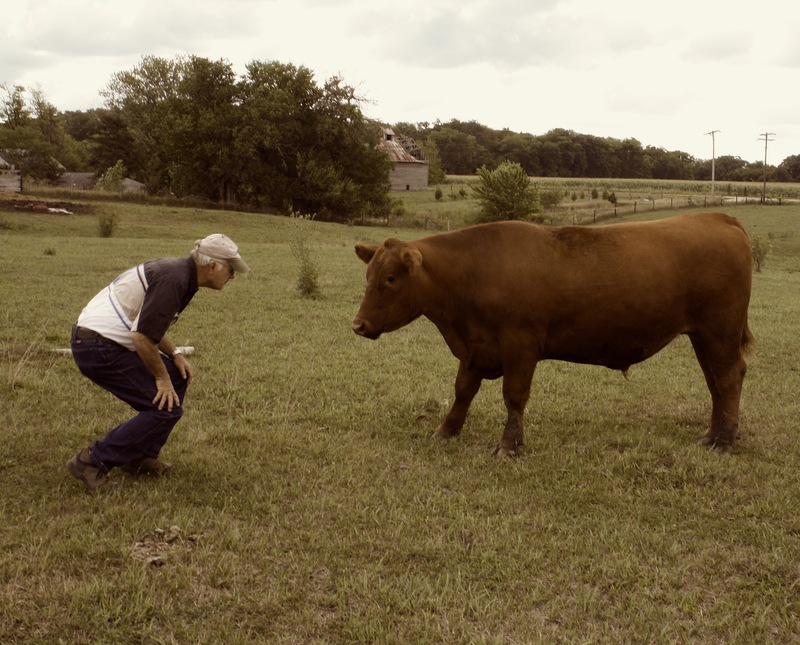 After visiting Trogg’s Hollow, a 2-acre farm in Elgin, Illinois, I was reminded of this simple yet seemingly far-off notion of completely natural food. 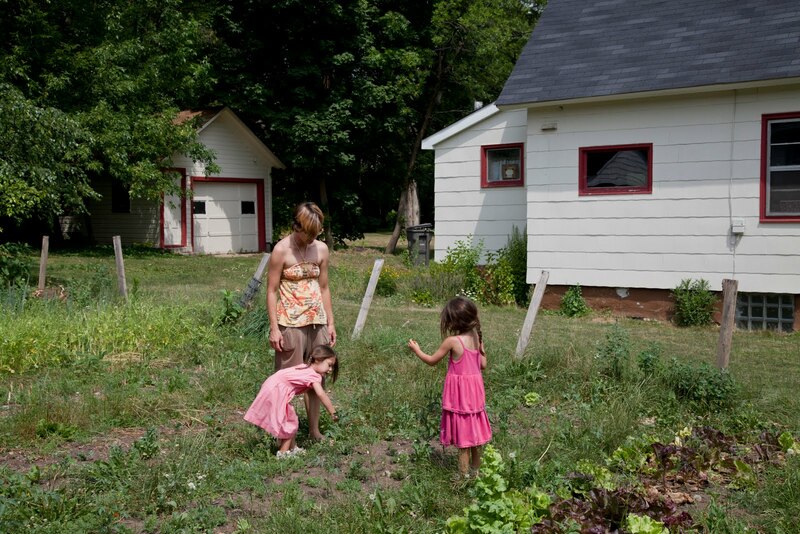 Chris and Julie began their own garden not as a business, but as an extension of their values. 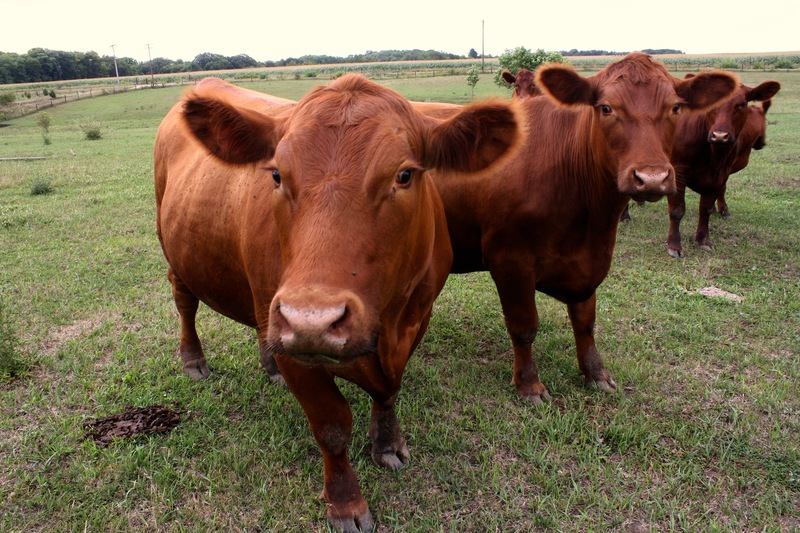 A bounty crop year led them to the decision to start selling shares. They attended the State Line Farm Beginnings class run by Angelic Organics, which gives sustainable farmers the business knowledge to succeed. Now in their third year operating as a CSA, have expanded their personal garden to a business, selling 35 shares to local, like-minded eaters. In the old days, Chris reminisces, growing naturally wasn’t trendy or extraordinary; rather, that was just “what you did.” Like their parents and grandparents before them, both Chris and Julie grew up in the city, but they always had gardens. The couple cites this upbringing – planting, growing, foraging, and preserving everything completely naturally – as the roots for their life as working farmers today. In a way, this way of life is a blast from the past! Gone are the modern labels and certifications that we’ve come to love so much these days. The only label Trogg’s Hollow uses is “local.” Because everything else is just the way they farm and live. Their goal is to be “as natural as possible,” which goes hand in hand with being “as sustainable as possible,” according to Chris. 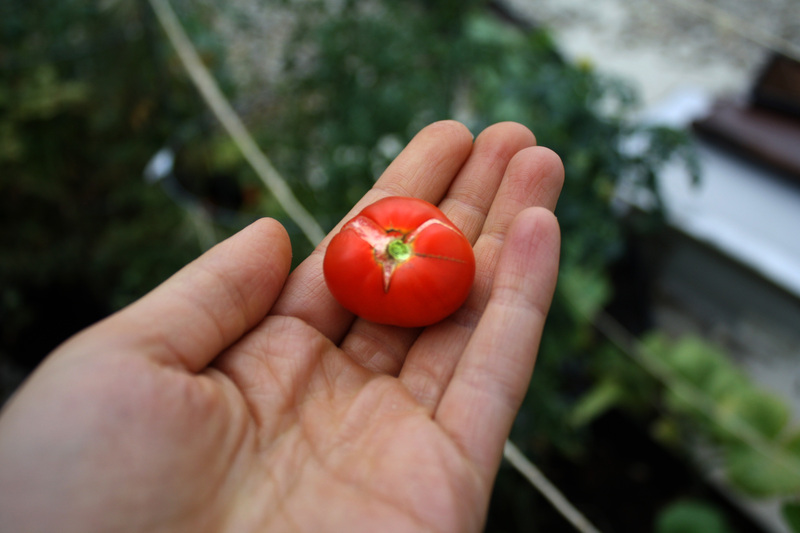 And instead of using USDA criteria, Chris and Julie measure the natural- and organic-ness of their farm by their kids being able to come out, pick a tomato, and eat it without worrying about chemicals. That’s why they don’t use any pesticides or fertilizers at all – even organic herbicides used by certified organic growers are poisonous to humans, something Chris says is allowing corporations to redefine what it is to be natural. Their sustainability methods are similar to John Jeavons’ model of biointensive growing, but Chris humbly denies being an expert in the field – “it’s just similar to what our grandmas did,” they say. The kids run playfully between (and sometimes on) the arugula beds, picking the sweet flowers and popping them into their little mouths. Just as Chris and Julie learned from their grandparents, they hope to pass down the essential knowledge to their own four youngsters. Their goal is “to give back more than we take away,” and a major vehicle for this is the kids. Because raising kids with a good foundation of values is the only surefire way of creating conscious eaters, and healthy individuals as well. It’s hard not to notice how Chris and Julie’s unique ways have rubbed off on their kids as they begin to understand the impact they will have on the world. For one thing, they like salad! But more importantly, they do science fair projects related to compost and soil, and the eight-year-old already wants to take over the farm. All in all, I think I figured out a solution that’s easy as (cherry) pie. We teach our kids good eating habits, and we’re on our way to a healthier lifestyle for both ourselves and for the planet. Cheers to youth and longevity – the pie’s the limit! Let’s play a guessing game. This Saturday, while I was volunteering at the Kilbourn Park Organic Greenhouse, someone asked me where the basil in his salad was grown. How old do you think he was? Thirty-five? Lower. Twenty-two? Guess again. The person so interested in the source of the flavorful herb was a seven-year-old boy! He was participating in the Greenhouse’s “Garden Buddies” summer family event funded by the Chicago Park District, a day to “celebrate the season” and learn about food and agriculture through hands-on projects. At first I was surprised by the boy’s intuition, since it seemed so mature for such a young’un to question the origins of his food. But then I realized how much sense it makes for a kid – so full of curiosity and inquisitiveness – to wonder where his or food was grown. My little basil connoisseur was just one of many curious kids to wander up to the Purple Asparagus booth, where kids were given slices of tomato, peach, and cucumber to chop (with a kid-friendly knife, of course) and toss with some olive oil and fig vinegar for a homemade farmer’s market salad. What a delight it was to watch them involve themselves in food! Their level of attentiveness, combined with the dedication of Purple Asparagus to nurture their interest, gave me hope for the future of food. I discovered that the very best way to change the way our society consumes food is by raising our kids to care about what they put in their bellies. And Purple Asparagus, whose mission is to “change the way our children eat” in order to bring kids and families closer to good health, is just one of the organizations committed to this notion. They travel to public elementary schools around Chicago, performing interactive lessons with students to show them the importance of wholesome food first-hand. So yesterday I went home and did some hunting in the good ol’ internet garden for other kid-focussed groups like Purple Asparagus. Surprisingly, initiatives with similar missions are not nearly as uncommon as that Barney-colored variety of asparagus, especially with Michelle Obama’s “Let’s Move” initiative putting national emphasis on healthy eating, and adding fuel to our country’s interest in helping kids eat better. So in addition to the Kilbourn Organic Greenhouse (whose programming is largely aimed at educating kids and providing them with close-to-the-ground food), I found bundles of other groups in Chicago alone. The Kids’ Table is “a place where parents and kids come to cook and learn how easy it can be to eat well at every age,” and Chicago Lights Urban Farm in the Cabrini-Green neighborhood hosts a 10-week summer camp for kids to learn about agriculture, science, and the environment. Georgia, a six-year volunteer at the Greenhouse, said it perfectly: “There’s no question that there’s an overwhelming need for [initiatives like] this right now.” With these resources at our fingertips catering to that need, I think there’s real hope in transforming children’s innate spirit of inquiry into knowledge, and hopefully a real change in habits. Although the basil-boy’s question was probably not indicative of an epic quest for knowledge about our society’s food system, I know one day he’ll learn that with knowledge comes a difference – both in taste and in health. But for now I’m satisfied with the curiosity level of the kids I taught at the Greenhouse. I know that their genuine interest in food, if nurtured by those around them, will bring them the knowledge it takes to nourish themselves thoughtfully. Maybe if we take a lesson from the younger ones in the family for a change, we’ll start asking more questions about our food as well. Cheers to kids and to keeping up the curiosity! P.S. 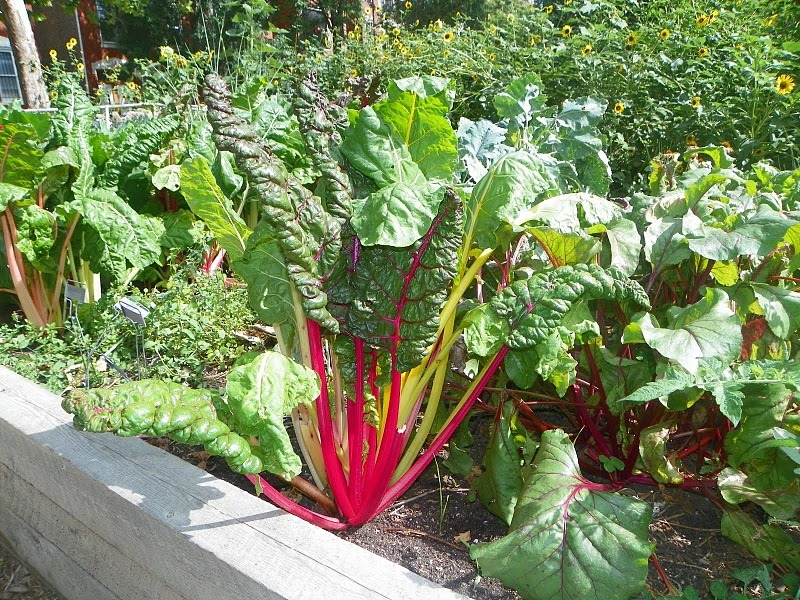 This post is part of a series of articles based on kids’ involvement in growing food. Stay tuned! P.P.S. Chocolate photoshoot was postponed, but don’t worry I haven’t forgotten! I don’t mean to sound like a self-help guru, but I have to ask you this question: Is this the life you’ve always envisioned for yourself? 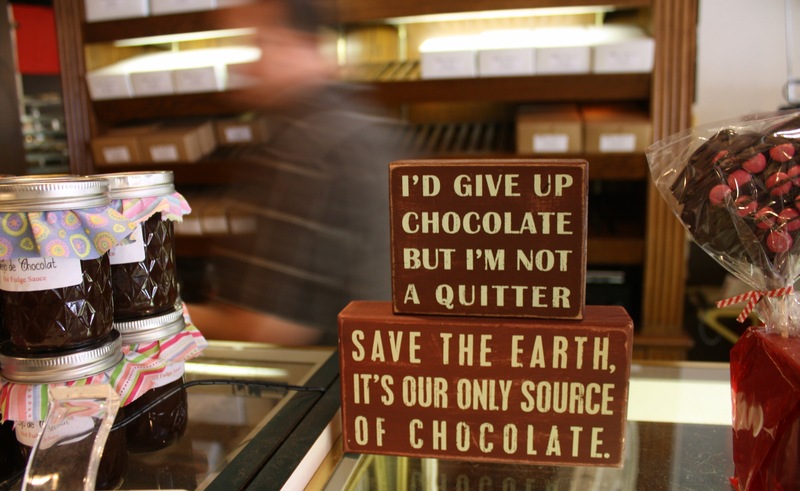 For most people I’ve talked to, including owner and chief chocolatier of Beijo de Chocolat Laura Case, the answer is no. But that’s not to say that what they are doing is negative. Rather, it’s quite the opposite. 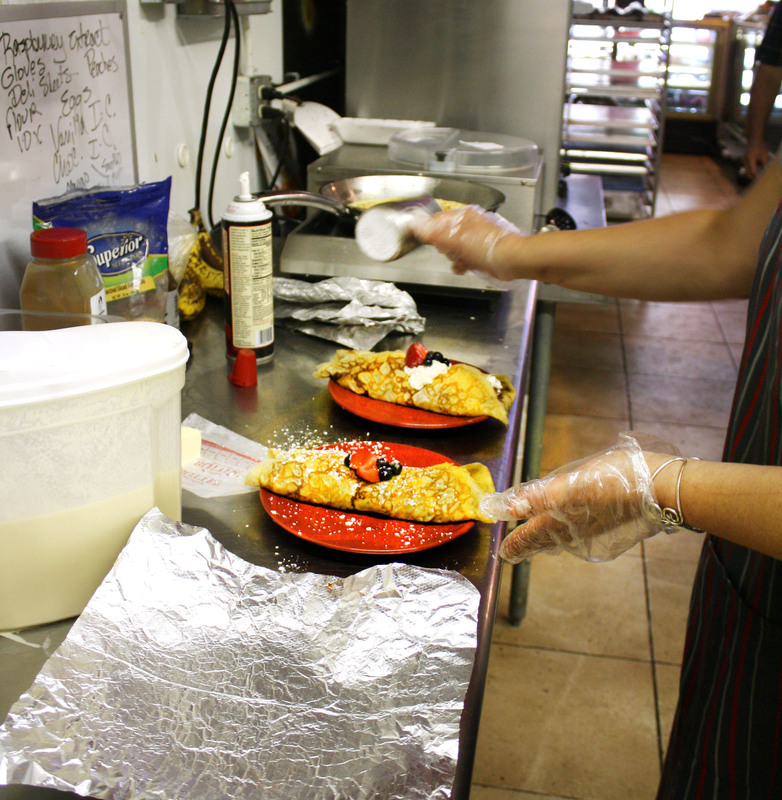 Laura sprinkles powdered sugar onto a freshly-made crêpe, just a Saturday addition to the full-service chocolate shop. A “Le Monkey” crêpe… Bon appetît! And smile, I did! 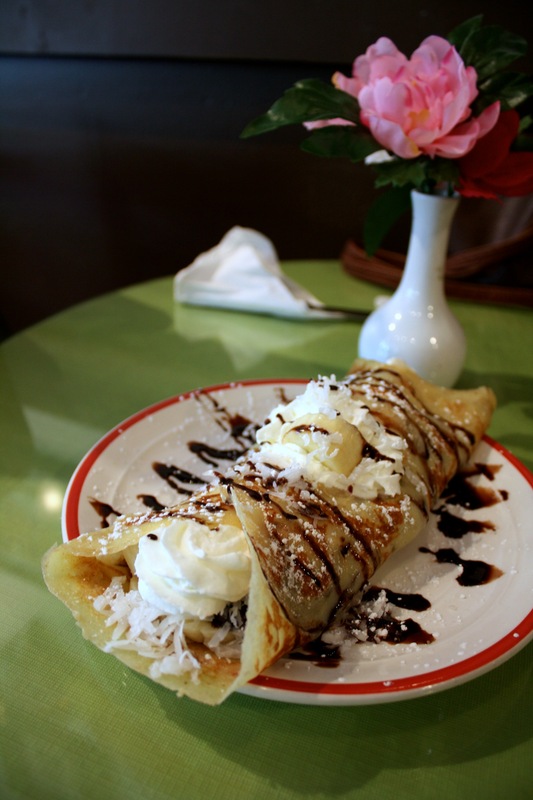 Especially after that first bite of a “Le Monkey” crêpe – a thin, bronze, buttery dough filled with gooey chocolate, bananas, whipped cream, and coconut. You see, four years since opening her shop, Laura has surpassed all expectations for a mere chocolatier. In addition to her shop being part of the North Park University campus tour, Laura has won a host of awards from the San Francisco International Chocolate Salon! And it’s no wonder that Beijo de Chocolat was dubbed one of the nation’s best chocolatiers for two years in a row by Taste TV’s Chocolate Television channel for the past two years – all the items in the shop have been crafted individually. Instead of a factory machine that churns out identical chocolates, Laura makes everything by hand in her little kitchen in the back of the shop. Find Laura’s chocolatey concoctions at Uptown and Independence Park farmers markets in Chicago, or visit their shop on Foster and Kimball for a real treat. Crêpes on Saturday mornings, espresso all day, plus smoothies, cookies, cakes, and last but chocolately not least… truffles. Who woulda thunk it? From sports television to chocolate extraordinaire, it may seem like a one-in-a-million type of story. But the truth is, many foodies started out with seemingly opposite career choices. But something – maybe the smell of chocolate wafting into their nostrils – guided them down the food path. From Chef Keem, a German-pop-star-turned-pastry-chef, to Farmer David, a Civil Rights Movement activist who left the city to start Kinnikinnick Farm, anyone can do it! And if Laura’s story is any lesson to us, following your passion can make life all the more sweet. Cheers to life, liberty, and the pursuit of chocolatey-ness! P.S. More photos to come after my chocolate themed photo shoot at the store next week! When was the last time you stumbled onto a farm, only to find it packed with people from far and wide? If you’re from the city like I am, I think it’s safe to say never. So imagine my surprise the other day when I stumbled upon a hip-hop-happening farm day at Heritage Prairie Farm, just stopping there on a whim coming back from Norton’s Produce in St. Charles, IL. The parking lot was nearly full, and the air was abuzz with more than just bees from the Bron’s Bees hives, located on the farm. Turns out, this was a pretty average Saturday for the farm. You know, just a market with a plethora of vendors, including my personal favorite, Bema and Pa’s (ginger-honey infused vinegar? I had to take some home). Plus their regular store that’s open 6 days a week, where I found oodles of fresh produce and goods, as well as the famous Bron’s honey. A wood-fire pizza place called Chuck’s was toasting beautiful pizzas on site, as well. Oh wait – did I mention that there was also a private event going on in the back? It was a farm-to-table educational event, complete with T-shirts, volunteers, and dozens of private guests. All on top of a normal farm work day. Quite a juxtaposition with the subtle but dedicated labor going on at Norton’s that I had witnessed earlier that morning (see my previous video). Heritage Prairie was a bustling place, and they were not quiet about what they had to offer. Their website boasts a host of other activities offered by the farm that I didn’t witness that day. Everything from farm dinners cooked by famed Niche chef Jeremy Lycan to “Eco-Chic Wedding Affairs” for those who want a true barn wedding. 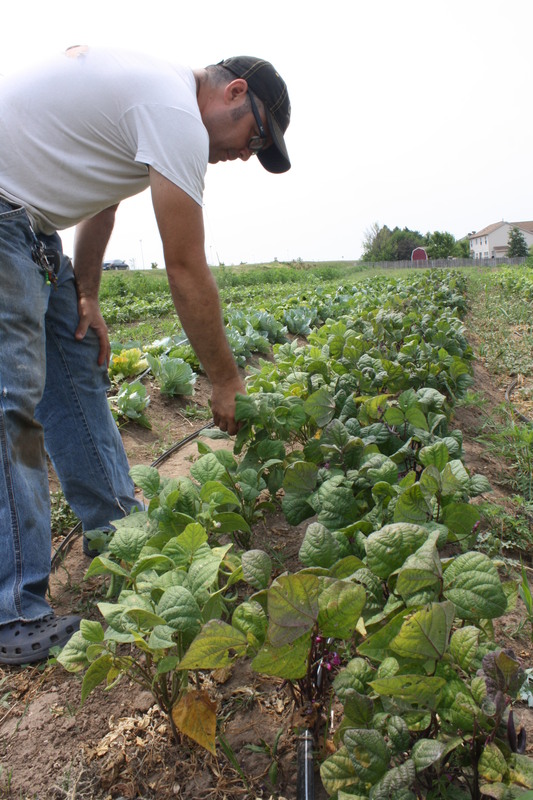 And we can’t forget that this farm is a working organic farm that sources to restaurants and markets throughout the Chicago area, like Naha and Whole Foods. So what’s the deal with these multipurpose farms? Well they aren’t that new to the table – surely you’ve heard of a farm that opens it’s gates in the fall for a corn maze or a pumpkin patch tour, maybe to make a few extra bucks. But Heritage Prairie has definitely taken pumpkin Halloween-y farm visits to a new level. The Saturday at Heritage Prairie, on the other hand, transformed a visit to a farm into an educational, sensory-stimulating, fun-for-the-whole-family (not just the kids) experience. The term Agri-tourism would suffice here, and it’s gripping the nation! Spearheaded in rural places with rich soil like California farmland, this business is booming as people yearn to find out more about their food sources. Other farms in Illinois are following suit: Angelic Organics in Caledonia offers tours and farm dinners to their CSA members, to name one. But look in every state and you’ll find tons of farms reaching out to their customers. And all with a central mission: to extend local food and local knowledge about food to local people. Making food a memorable experience reminds us of the significance of nourishment in our lives. 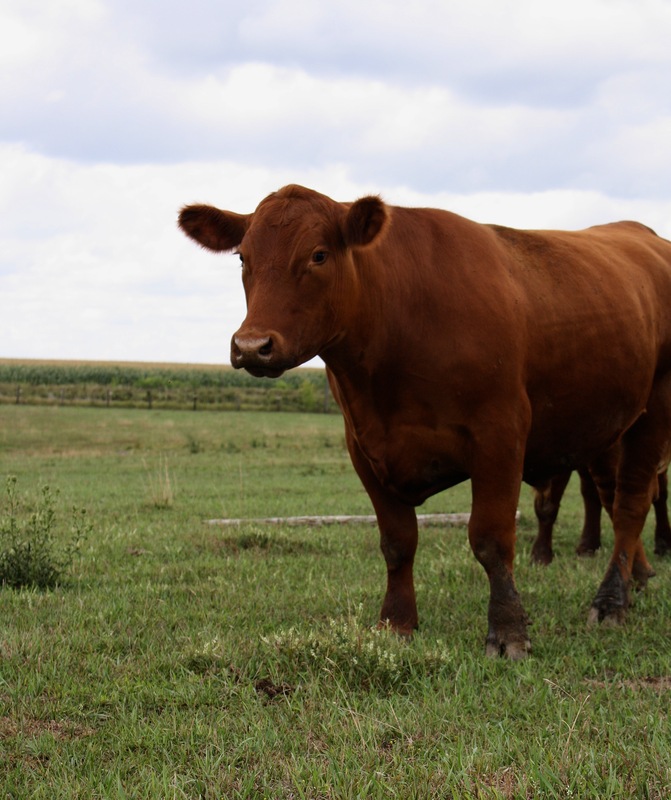 If it’s really true that you are what you eat, then by golly I think I’ll eat some Heritage Prairie grub, and maybe just get married there too! Cheers to good food and a gosh-darn good time!